Lovely Dangles of Coral & Baroque Pearls! 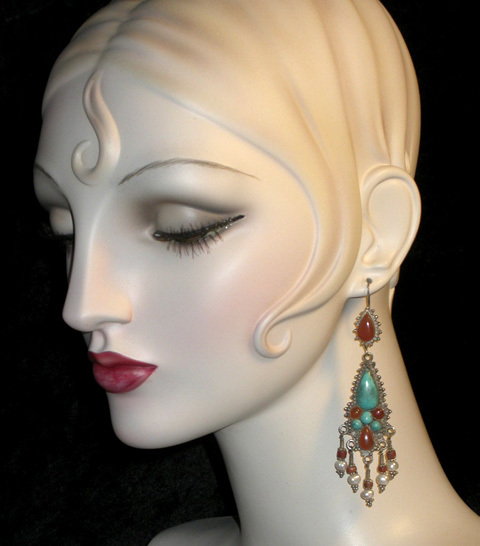 The Earrings Measure 4" long and 1.18" Wide. 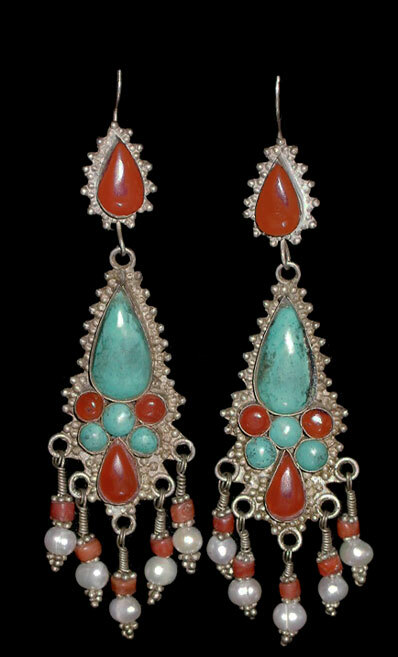 The Earrings have lavish delicate wirework and applied silver metal beadwork edges. Reverse Sides, which look like they may be coin silver. Also areas of age darkening on the faience stones.